"One of the finest heritage hotels of India, Malji Ka Kamra reflects the finesse of Shekhawati paintings and Italian style of architecture. The walls are adorned with some of the best art works of the days gone by. The aura around the hotel is reminiscent of the amazing splendor if early 20th. The hotel provides unbelievable sightseeing ventures from the magnificent terrace. The historic building Malji Ka Kamra was constructed by Malji Kothari, who was among the riches of Seths residing in Churu district, as a sophisticated guesthouse to the former Maharaja of Bikaner. The building is estimated to be about 100 years old. 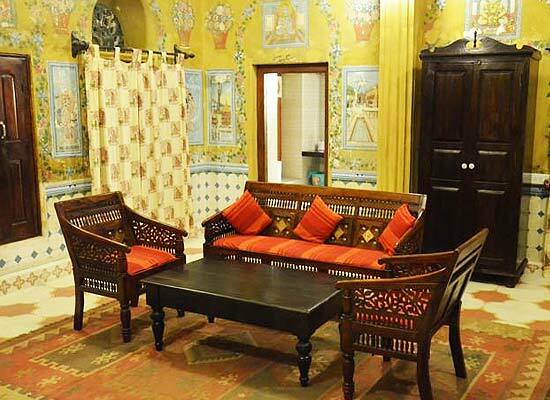 It was used by the Maharajas as their entertainment home where gatherings of esteemed dignitaries, artists and Royals were invited from all the nooks of Bikaner Riyasat. Now refurnished as a heritage hotel, the untouched original frescoes of Ganga Singh Ji, who was a common visitor to this building in the glorious days, can still be found in here. 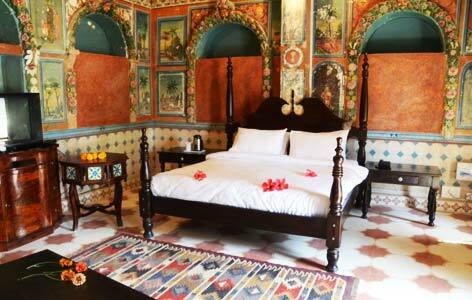 There are 15 rooms and suites in the heritage hotel Malji Ka Kamra. The rooms are adorned with original wall-paintings of the erstwhile era. 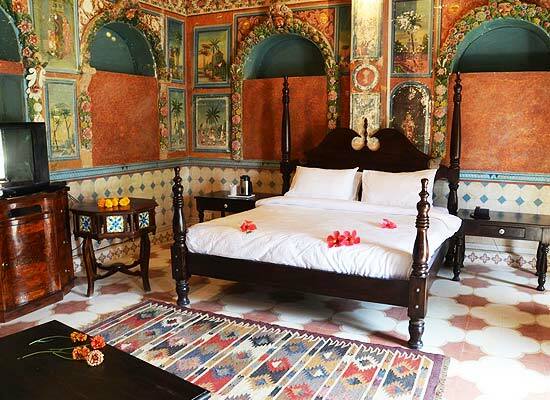 A lot of efforts were taken to restore the rooms back to its previous glory and a true essence of Rajasthan’s Royal architecture and period is offered to the tourists. All the accommodation facilities in the hotel are very sophisticatedly designed and all the modern amenities and services are offered to the guests who stay in here. 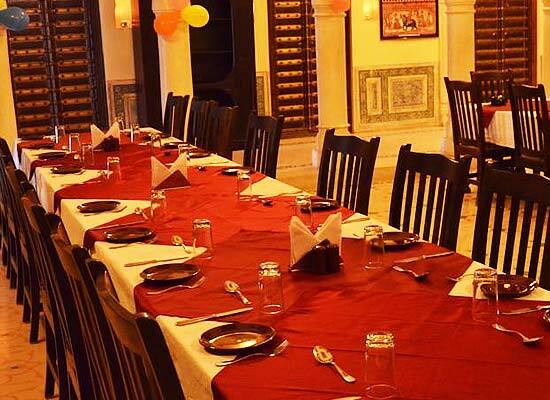 The hotel houses a multi-cuisine dining restaurant, Spice court, that elates guests particularly with traditional Rajasthani food cooked in authentic Rajasthani style. The hotel also serves other Indian and Continental dishes as well which are equally delicious. The perfectly calm and soothing environment and the stunning interiors set the mood for a delightful dinner lunch and dinner gossip amongst the guests. The city of Churu is situated in the Indian state. The city opens the entry to the famous Thar Desert. The city was founded by Churry, who was the leader of the Jats clan in 1620 A.D. Churu is very beautiful as it is located right in the middle of the Great Indian Desert and offers gorgeous views of the shifting golden-colored sand dunes and swaying sandy winds.